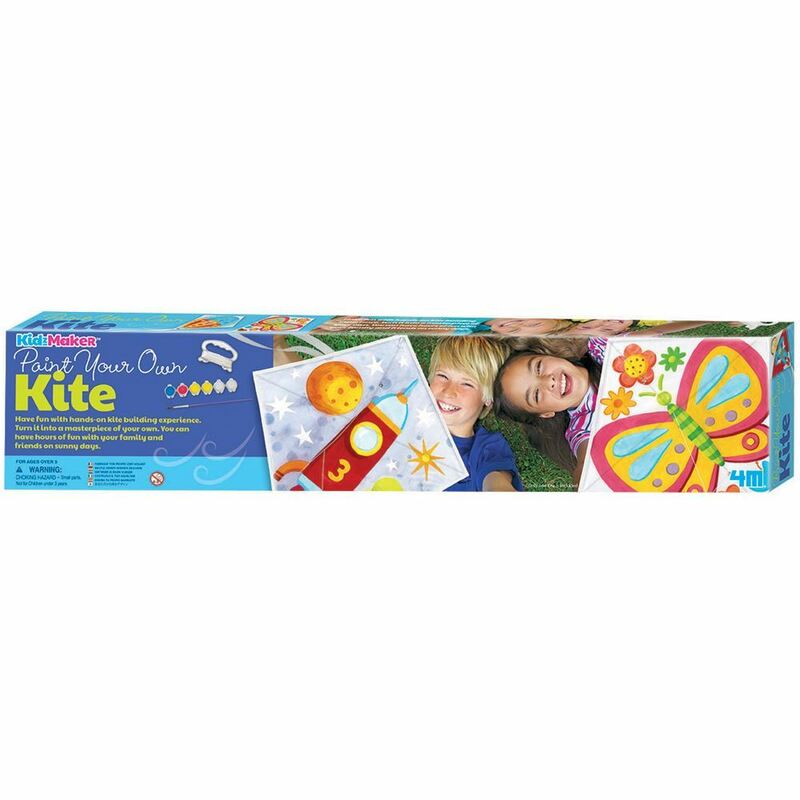 Have fun with hands-on kite building experience. Turn it into a masterpiece of your own. You can have hours of fun with your family and friends on sunny days! Flying line - 50 metres long! Pre-assembled polyester kite is 60W x 65L cm. Fly easily even in light wind. Waterproof craft paint. Contents: 1 x plain sail sheet (with 2 spine rods, dihedral joint and bridle attached), 2 x spar rods, 1 x reel with flying line, 1 x paint strip, 1 x paint brush and detailed instructions. Age 5+ years. Part of the KidzMaker range. Distributed in New Zealand by Holdson.